I don't know if the assets folder is in the good place. In Android Studio, I tried the root "app" folder, and that didn't work. I looked for the AndroidManifest.xml file and put the assets folder there. That worked for me. Not in under the src. The assets folder is an independent folder. 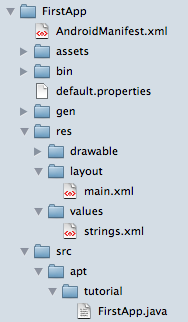 While creating an Android project itself the Assets folder is independent to the src folder. Not inside the src folder. Confirm that assets folder was created in the following way /assets.